A featured creature in mythology (the Kracken from Norse legends and Greek mythology), literature (20,000 Leagues Under the Sea, among others), and old sailor’s tales, the giant squid—which can grow up to 40 feet long—has proved elusive for scientists to find: The only way researchers could study the beasts was by examining carcasses that washed up on beaches and tentacles snared by fishermen. Although one was photographed in its natural habitat in 2004, attempts to film the beast have failed. Until now. 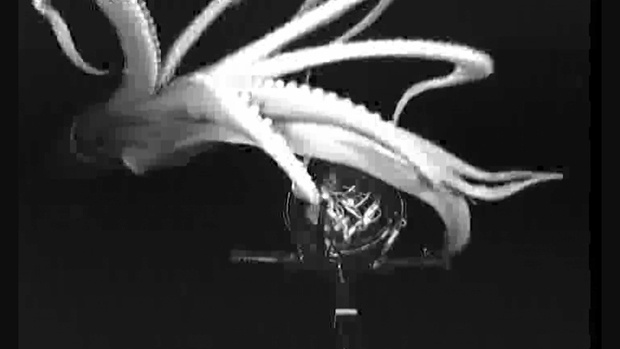 Finding the squid was all about location: The crew headed to the deep seas off Chichi island, Japan. "That was the doing of Dr. Kobodera," Widder says. "He had done a tremendous amount of work in that area. We knew that's where sperm whales come to feed, and fishermen had snagged tentacles from the squid there. So there was a lot of interest in going to that spot." And it also took a lot of patience; the scientists made hundreds of dives in a submersible, sometimes to deeper than 3000 feet. 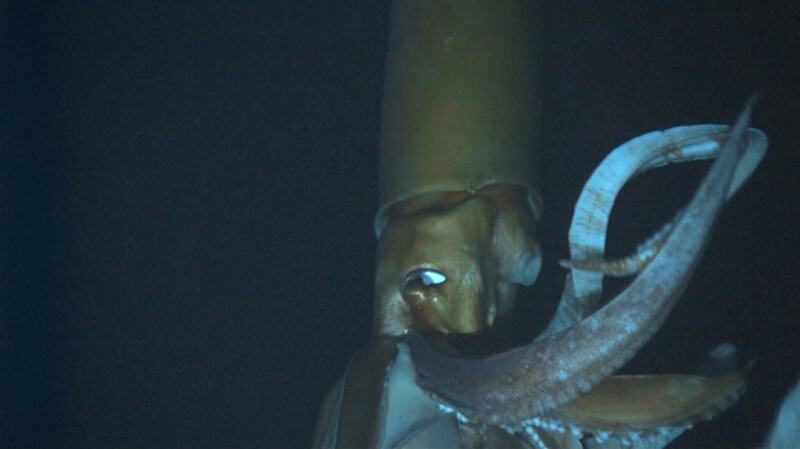 "Monster Squid: The Giant is Real" premieres January 27 at 8pm ET/PT on the Discovery Channel as the season finale of Curiosity.